I first came across Archibald Forbes in Stephen Previtera's The Iron Time: A History of the Iron Cross. Forbes' photo and story is on p. 102 in the first edition (1999) and p. 104 in the second edition (2007). The story intrigued me not only because Forbes received the 1870 Iron Cross Second Class (noncombatant), but also because of the other unnamed Orders and decorations he wore in that photograph. 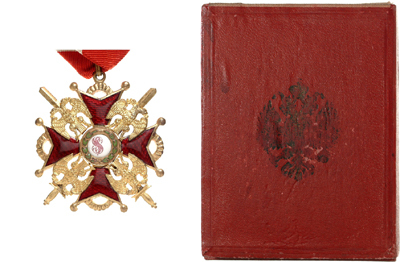 The Orders of Knighthood of the Star of Roumania, St. John of Jerusalem, Charles III of Spain, Remembrance Cross of Saxony, and St. Stanislauss of Russia, the Iron Cross of Prussia, the Takova Cross of Servia, the Roumanian Cross of Danube, and the Russian, German, Servian, and Roumanian war medals. The reporter cited 12 orders and medals; the photo shows 13. I was able to identify only 10 of the worn medals; with the WAF readers' assistance, perhaps all the orders and medals can be identified. Though, I'm puzzled at the light-colored ribbon instead of the normal black ribbon. Source: Charles W. Tozer, O.St.J., The Insignia and Medals of the Grand Priory of the Most Venerable Order of the Hospital of St. John of Jerusalem, (J.B. Hayward & Son: London, 1975), p.19. Forbes' Order is without the crown. 2. 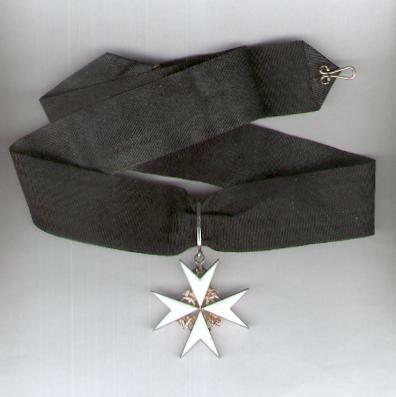 Remembrance Cross of Saxony; Official name: "Ehrenkreuz für freiwillige Wohlfahrtspflege im Kriege, 1870-1871" [Honor Cross for Volunteer Humanitarianism in War]. 4. 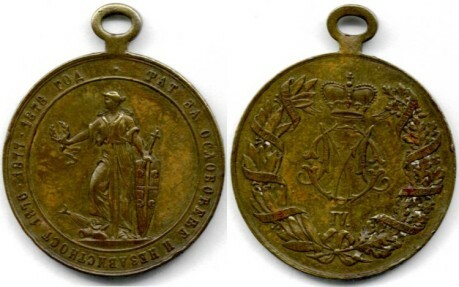 Servian [Serbian] War Medal ???. Last edited by GHP; 01-05-2013 at 09:47 PM. His Russian St. Stanislas order is a 3rd class. 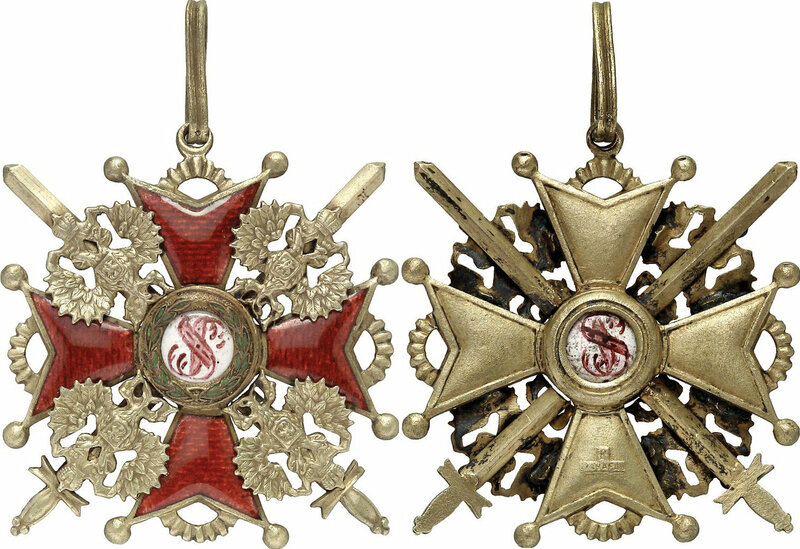 The 2nd is a neck cross. Visit www.woeschler-orden.de, updated each 1st and 15th a month! I think this is the unidentified 4th medal, Row 3. The ribbon in the photo has a dark center stripe and two light stripes [possibly the red-yellow-red stripes] on either side. And the shape of the center roughly equates to the image above.